Owen holding our eBook, Strollin with Little Baby Owen on his iPad. Owen is an author. You can read his first book on iBooks on your Mac, iPad or iPhone. His first book is written in English and American Sign Language (ASL). So you can read the text, listen to the English or watch it in ASL in video. ​His first book is called "Strollin' with Little Baby Owen" by OwenTales ! Mum, pluleeeeze! I'm 12 and 11/12ths..... Really you wanto talk about POTTY TRAINING? Okay, my mom is on a bunch of FB pages and people liked the story about how I learned to go Potty outside. So, she decided to share this on my blog. And I let her embarrass me. Just for the good of Dog-Manity. And humans too. But you humans should probably use the bathroom INSIDE the house. Just sayin'. Owen and his mom live in NYC. 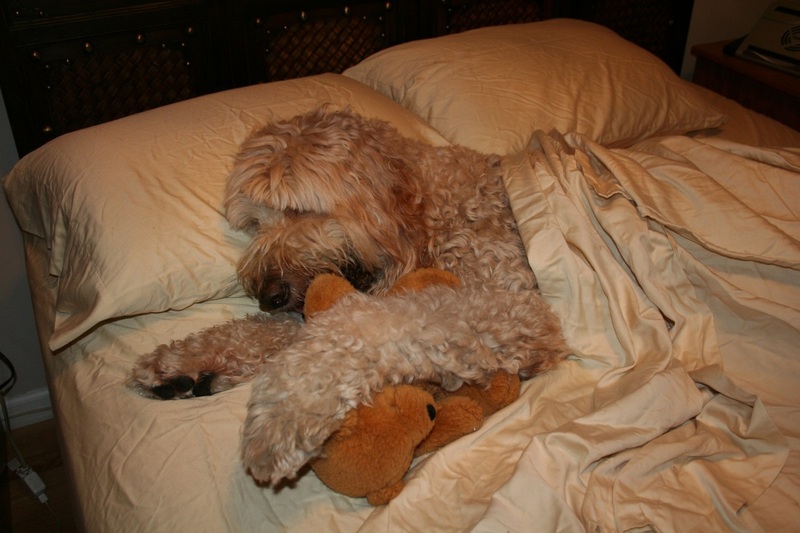 Owen is a Goldendoodle. 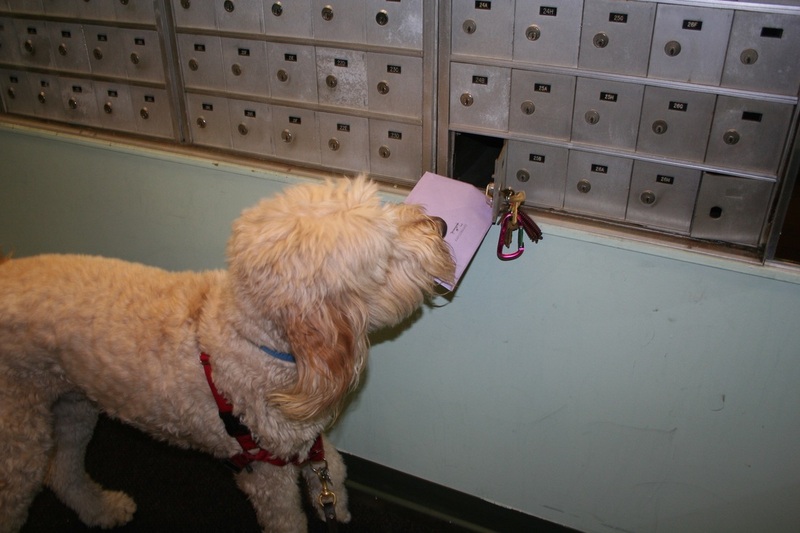 This means his birth mom was a Golden Retriever and his birth dad was a standard Poodle. Owen knows 2 languages: American Sign Language (ASL) & English. Owen's first language was ASL. Owen will be 13 on October 31, 2017. Yes, a lot of people dress up in costumes for Owen's birthday. But Owen doesn't dress up in costumes. He is happy being a dog. But sometimes, Owen likes to...... Ride a bike. Work for the Sanitation Department, be an artist or a fire fighter. What does Owen do for his mom? 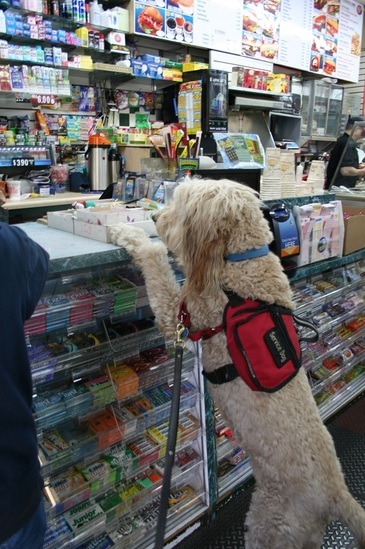 What's a Service dog?? He picks up her cane and brings it to her when she drops her cane or falls. He helps her move her legs so she can get up when she falls. When it is hot outside, his mom sometimes gets confused. Owen knows where they live and when she says, "Let's go Home!" Owen leads her home. Owen tells his Mom when someone yells or says her name. Owen tells her (or wakes her up) when someone comes to visit. This is Owen & his mom at Service Dog School. (Owen stayed at Service Dog school for months. Then Rebecca went for 2 weeks and learned all the cool things Owen learned. It was a lot to learn for Rebecca! Owen loves other dogs, but he can't go to the dog park with his mom. So he never gets to play with other dogs unless his Uncle brings him. That's not fair!!! 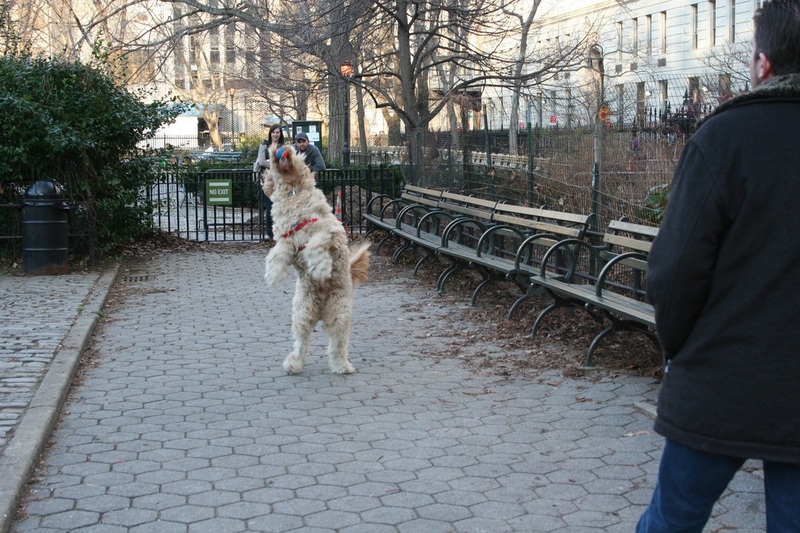 Please sign our petition so NYC will build Rosie's Run, a dog park for all dogs and all people! How could you say no? Owen is so cute! Owen can stand, jump & FLY!! (when his Uncle takes him to the Dog Park. Ok, it is a secret Owen can fly. Don't tell!! Can Owen ride a bike? Owen's latest swim at Water4Dogs! If you can't watch this video format, We've added other video formats on this page. Click Here to Read "Strollin' with Little Baby Owen ! "Strollin' with Little Baby Owen"
"Strollin' with Little Baby Owen"? Click on the PLAY (arrow) below. What is Owen doing today? Look at his photo blog here. TOP SECRET photos from our next books? Click here! Click here to download this picture. What colors would you use? How would you color OwenTales pictures? 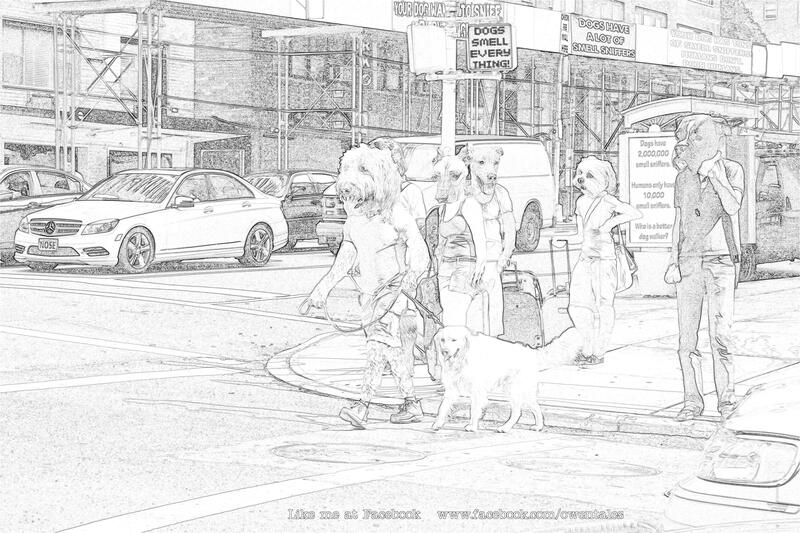 Sign up here to get our Black & White photos you can color how you want! Owen & his Mom live in NYC in a neighborhood called Kipps Bay. 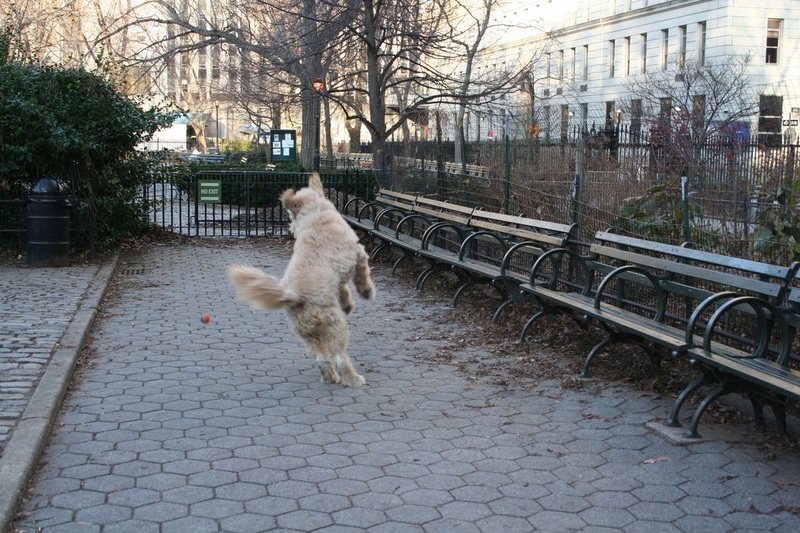 Kipps Bay really needs a dog run and we've got just the place for it: Bellevue Park South! Located between 1st and 2nd Ave at 28th street, this hidden Kips Bay gem is ready for a few updates. 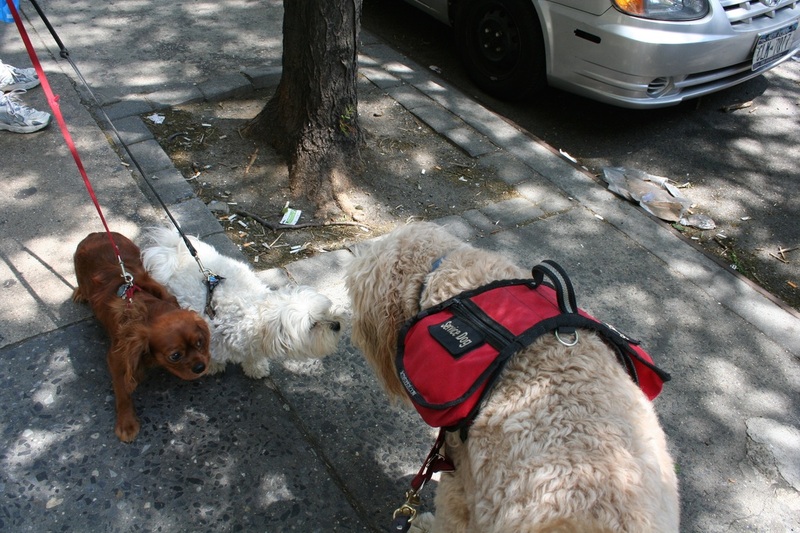 Sponsored by Councilwoman Rosie Mendez and the NYC Parks Dept, this petition (here) supports the creation and maintenance of a fully ADA compliant dog run to meet the needs of ALL the canine and human citizens of our diverse and wonderful neighborhood. In order to demonstrate community support for this project, we need 1000 signatures! ﻿Please click here to go to the petition. Sign Up for Top Secret emails from Owen!